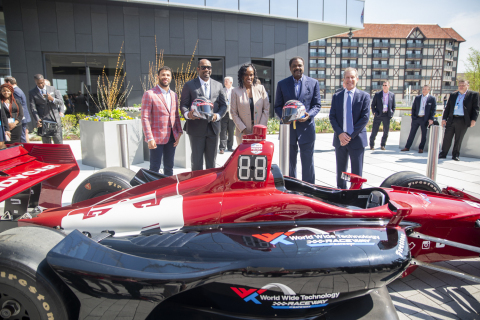 “The support of WWT will help ensure that our track will compete for North America’s most elite races and offer an innovative and exhilarating fan experience for years to come,” said Curtis Francois, CEO of Gateway Motorsports. “The relationship with WWT will help us tremendously as we continue to grow World Wide Technology Raceway into one of the premier racing facilities in the country,” said Francois. Founded in 1990, WWT is a technology solution provider with more than $11 billion in annual revenue that provides digital strategy, innovative technology and supply chain solutions to large public and private organizations around the globe. While most companies talk about delivering business and technology outcomes, WWT does it. Based in St. Louis, Missouri, WWT employs more than 5,000 people and is among the world’s greatest companies to work for as ranked by Glassdoor and Fortune. For more information about World Wide Technology, visit www.wwt.com.